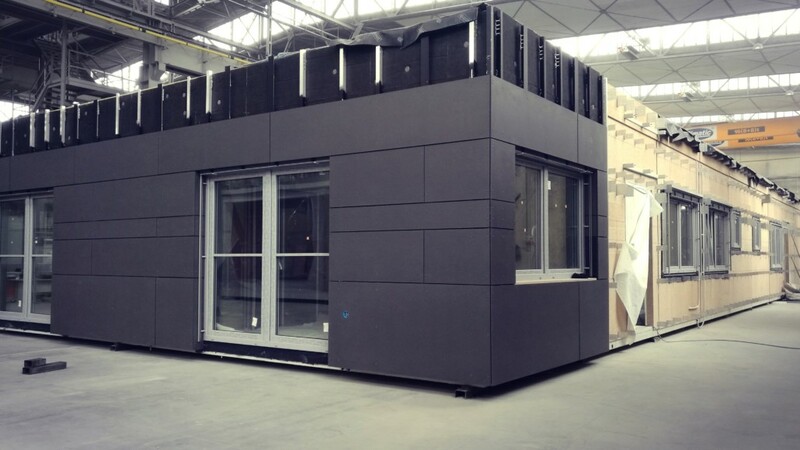 The Climatic construction means an offsite prefabrication including both interior and exterior finishings. This limits works done on site to minimum. On site there is very few done: connection of modules, connection of installation and façade systems. Our production site allows to finish the building inside and outside undependently from weather conditions. On the production line there can be building of area of 2000 m2, and prefabrication level peaks to 90 percent. 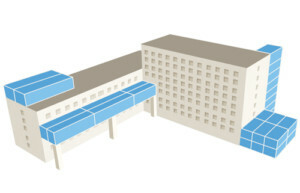 Thanks to its universal structure, the Climatic modular system can serve as an extension of a facility in any configuration and at any level – it can be used for extension at ground level (up to 6 floors standard), as well as at any level (comprising a self-supporting structure independently supported on poles or partly supported on the existing building), and for upward extension on the roof (which is particularly desirable for machine rooms requiring complicated installation procedures).The mobility and universality of this solution makes it possible to use the modular system in locations that allow very limited access such as patios or roofs. Our experienced installation team will carry out even the most complicated projects quickly and effectively. other – according to customer’s requirements.